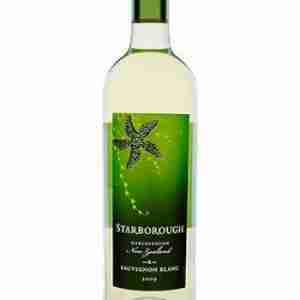 This week’s Wine on Wednesday is a review of Starborough Sauvignon Blanc. Starborough winery hails from New Zealand’s Marlborough Region, which is well known for growing grapes for Sauvignon Blanc. To learn more about Sauvignon Blanc, check out the discussion of Sauvignon Blanc on our Wine on Wednesday series. Sauvignon Blanc is not a wine I typically choose when drinking white wines; I don’t really enjoy the grassy notes typically found in Sauvignon Blanc. But in the interest of reviewing new wines to help our readers find wines they love, I’ve been branching out in my hoices, and recently tried the Starborough Sauvignon Blanc. 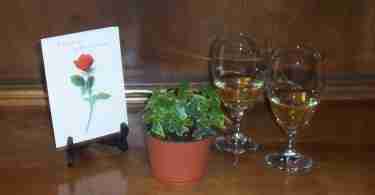 The Starborough Sauvignon Blanc had the typical light, straw like color typical of Sauvignon Blanc. The nose (classy term for smell), was lemon and melon. Flavor notes I detected in the Starborough Sauvignon Blanc were pineapple, melon, and lemon. This wine was slightly sweet, but had a dry finish; not incredibly dry-just a little pucker at the finish. Like many other Sauvignon Blanc varietals, Starborough was slightly acidic. One note that wasn’t as prevalent was grassy, mineral tones that are often found in Sauvignon Blanc. Starborough had a tropical undertone, but balanced well with the acidity and slightly dry finish. The flavor balance in this wine was what I enjoyed most. Foods that would pair well with the Starborough Sauvignon Blanc would include light seafood and fish dishes, foods with citrus flavors, or maybe even tropical fruits! The Starborough Sauvignon Blanc would be a great choice for someone who enjoys wine with a little sweet and a little pucker. If you like fruit notes in wine but don’t want the wine to be too sweet, this would be a good wine choice for you.